The scene last April from deep inside Texas’ Moncrief-Neuhaus Football Complex could’ve been from any HGTV renovation show. Before you can renovate, you have to demolish what’s there. It’s why a man, looking very much like a construction worker with his yellow safety vest and hard hat, swung a sledgehammer seven times at an ordinary-looking locker as others cheered him on. The demo guy was Texas coach Tom Herman. All the smashing was carried live, via the UT football Twitter account. The six-year-old lockers were being replaced by those that cost $8,700 a piece. 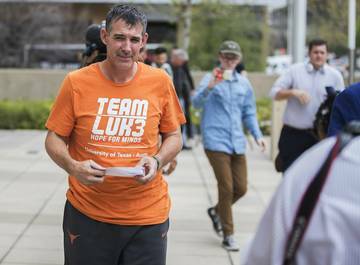 Herman, who was hired two days after Thanksgiving to replace Charlie Strong, was making Texas ostentatious again. 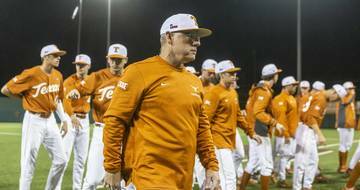 Now will the Longhorns be nationally relevant in something other than spending again? 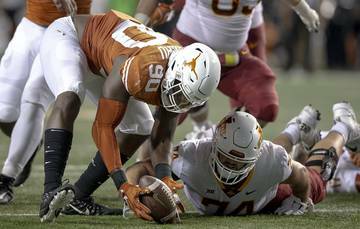 With each hit of the hammer, Herman ceremoniously might have been trying to demolish every reason the Longhorns haven’t won anything big since 2009. Texas hasn’t even had a winning season since 2013. 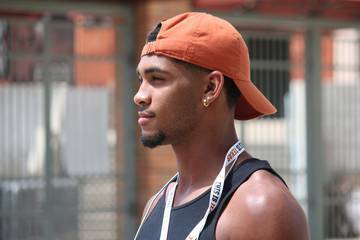 Recruits that Texas is pursuing now were in the second or third grade when anyone was talking about the Longhorns being dominant nationally. Herman, 42, wants a Texas rebuild. He’s had a fantastic recruiting run. 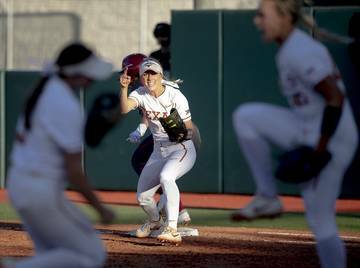 With no results yet on the field, the Longhorns sport a class that’s ranked second nationally. Something similar is unfolding at Baylor under new coach Matt Rhule, although it’s more of a rebirth of character and goodwill there. And at Oklahoma, with 33-year-old new coach Lincoln Riley, the Sooners are trying to reignite a fan base wanting more than conference trophies. With these new faces at three prominent programs, the Big 12 certainly is going through a reboot, maybe a national reawakening that says its teams are as good as those in the SEC, Big Ten, Pac-12 and ACC. The last time a Big 12 team was national champion was way back on Jan. 4, 2006 as then Texas coach Mack Brown hoisted the trophy for the Longhorns and the league. The conference last played for a national title in the 2009 season. It was left out in 2011, when the BCS picked a rematch of LSU and Alabama to play for the title and ignored 11-1 Oklahoma State. In its inaugural season in 2014, the College Football Playoff committee slotted Baylor and TCU at fifth and sixth and out of four semifinal spots. Oklahoma made the semifinals in 2015. But that’s been the lone reason for Big 12 football to really celebrate, save for OU’s Sugar Bowl victory last year and TCU’s Peach win the year before. This year’s group of Big 12 coaches, collectively, is the youngest nationally, with an average age of 46.6. And that age is skewed older by 77-year-old Bill Snyder, the oldest coach in the game. Half the league’s head coaches are 42 or younger. So is youth an effective conference rejuvenation? “I don’t know that the age has anything to do with it,” said West Virginia’s Dana Holgorsen, who is 46. “I don’t think about it that way. Heck, I don’t even know how old I am. I don’t pay attention to — I guarantee you that coach Snyder doesn’t pay attention, either. Texas first-year head coach Tom Herman watches the first day of training camp on Monday, July 31, 2017 at Frank Denius Fields. The age is young, but the collective résumé suggests experience. 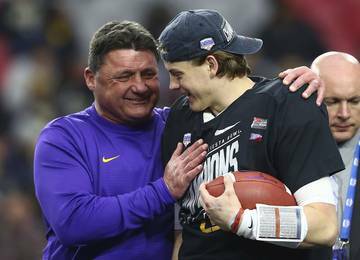 The Big 12 boasts five coaches who have won bowl games that are now included in the New Year’s Six lineup. It’s the same number for the ACC, Pac-12 and Big Ten. The SEC only has Alabama’s Nick Saban. The Big 12 sports Herman, TCU’s Gary Patterson, Holgorsen, Snyder and Oklahoma State’s Mike Gundy. “I hear about having a problem with what people think about us,” Patterson said of the Big 12. 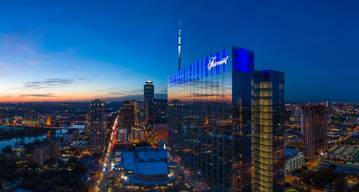 “It’s a great conference. Anybody that doesn’t think it’s a great conference — we play in a league where you’ve got to play everybody. That’s hard to do on a year-in and year-out basis. We’re going to have a championship game. We graduate kids. We played well in bowl games. How September unfolds will go a long way to help or hinder an official reboot. There are five Big 12 teams ranked in the preseason top 25. Oklahoma is seventh and Oklahoma State is 10th. Kansas State (20), West Virginia (22) and Texas (23) also are ranked. The Mountaineers, winners of 10 games last fall, open against No. 21 Virginia Tech. The Sooners must deal with No. 2 Ohio State on the road on Sept. 9. TCU has a road trip to Arkansas that same day. 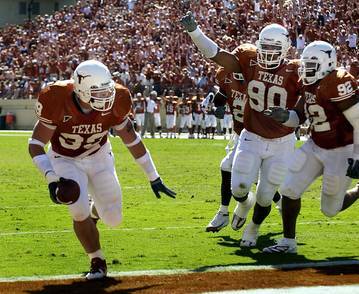 The following Saturday Texas plays at fourth-ranked USC and the Wildcats travel to Vanderbilt. Texas Tech heads to Houston the following weekend. And Baylor plays a significant game at Duke — the first time the Bears have played a Power 5 team in a regular-season non-conference matchup. Texas Tech must beat Houston on Sept. 23. And if the Red Raiders don’t show improvement this fall, they may jettison coach Kliff Kingsbury for a Lubbock makeover. Over in Waco, Baylor’s Rhule, who’s 42, has been in the midst of a charm offensive. He’s met with students, parents, professors, reporters, anyone who could touch his program in some way. Rhule has morphed into either a hopeful yet remorseful minister, a soothing father figure or a program salesman. He also needed to find time to be a football coach. Although Jim Grobe gracefully served last fall as an interim coach, Rhule was hired last December to replace Art Briles, who was fired in May 2016. Briles’ program and the school had been rocked by charges that Baylor did little or nothing when female students were sexually assaulted by football players. The Bears were in desperate need of an off-field ablution, as Rhule tries to bring the school back to its recent, dominant on-field success that saw Baylor win consecutive Big 12 titles in 2013-14. So far, recruits are buying in. Baylor has 18 pledges; at this time last year, the Bears had one. “What I’ve learned in my time at Baylor and Waco is we’re not running from the past, but rather we’re learning from it,” Rhule said. “We’re truly committed to getting the wrongs of the past corrected into a bright new future. Together we’re committed to our continued cooperation with external and internal reviews of past conduct, which obviously I cannot comment on, but I’m so very confident that they will make Baylor better and stronger. “In terms of the football program, we’re trying to build a program, not a team. We’re building a culture, not an attitude. Our young men of character … they’re tremendous representatives of our university. They’ve been working since January to make sure that we build a program that’s committed to the total person, to the character of the young people that we coach. Does any of this mean that Baylor will win games in 2017? Maybe not. But Rhule’s message salvaged the recruiting class in February and the current class ranks 25th. North of the Red River, Riley abruptly was tapped in early June to succeed Bob Stoops at Oklahoma. Stoops, who had been head coach since 1999, helped the Sooners athletic department to a sports renaissance. Oklahoma won 16 various NCAA team titles, with the profits from Stoops’ football program helping everyone. Before Stoops arrived in Norman, the Sooners had won 13. Riley, who was Stoops’ offensive coordinator the last two seasons, can do well by maintaining what Stoops built. The staff stayed intact. Riley hired Ruffin McNeill, his old boss at East Carolina, as a defensive coach. That’s it. There are no other changes. Riley is handling recruiting well, collecting commitments from 10 prospects since he was named head coach. OU’s class of 17 pledges is ranked 10th. With all the league newness, an old mainstay also is generating quirky headlines that go viral on social media. Oklahoma State’s Gundy, who turned 50 this month, now is the longest continuous serving coach in the Big 12. Gundy has generated his own sort of unique coolness, which reflects well on the Cowboys and Big 12. His players call him “Big Daddy.” His mullet hairstyle, aka the “Arkansas Waterfall,” is widely popular. Gundy’s spring-time rattlesnake hunt was documented on his social media accounts. A reporter in Oklahoma City likened him to a redneck Steve Irvin (the late Aussie crocodile hunter). Gundy put on an orange singlett and appeared in a video to promote an Oklahoma State wrestling match against Penn State. The video went viral. Gundy said it’s all about marketing the Oklahoma State brand in the offseason. In other words, in an offbeat way, he was keeping Stillwater (and the Big 12) in the national conversation. But the Big 12 is at its best when both Oklahoma and Texas are national heavyweights. 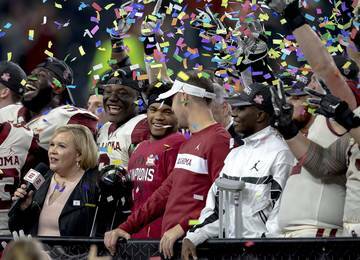 The Texas-USC national title game, which drew 35.6 million viewers, still is the most-viewed championship in the last 26 years. Imagine if the buzz if they ever get back. 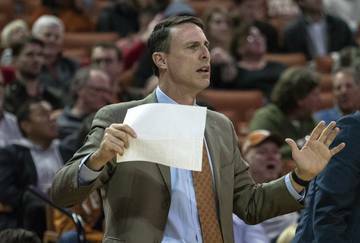 The post Big 12 Reboot: The times are a’changin for conference powers Texas, Oklahoma and Baylor appeared first on HookEm.